Perhaps you feel your teeth are not perfectly straight, or you think your bite could be adjusted. It’s quite possible that braces and other orthodontic treatments might be the right choice for you. As orthodontic professionals, our team at Schumacher Orthodontics works with your general dentist in order to determine the best options for your oral health and cosmetic appearance. Your jaw shifts or makes sounds. This can signify a developmental issue with your teeth and your jaw line, and orthodontic treatment may be able to help. Set up an appointment with Dr. Ryan Schumacher if your jaw is recessed or protruding as well. The ideal age for a child to be seen by an orthodontist is age seven. However, there are many orthodontic treatment options available to adults. 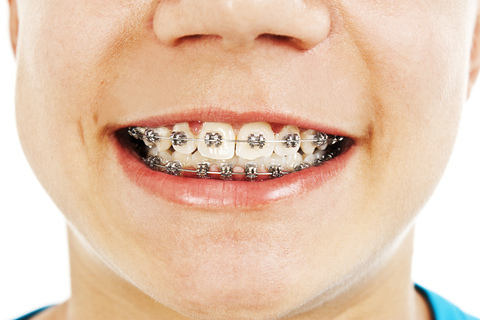 It is becoming increasingly common for adults to wear braces and other orthodontic devices. We recommend that people who are interested in braces and other orthodontic treatment options set up a consultation appointment with Dr. Ryan Schumacher today.